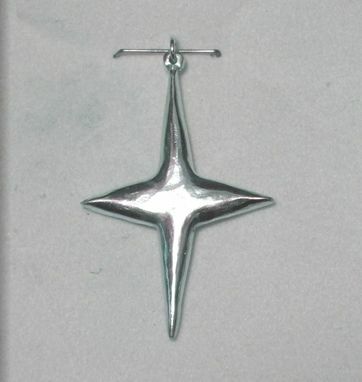 Custom made one Sterling Silver North Star charm using the user supplied drawing. The edged on front and back are rounded and conform to the curves. The back is flatter than the front and have the "By Remi" insignia and the word "Sterling" stamped to show prominence. 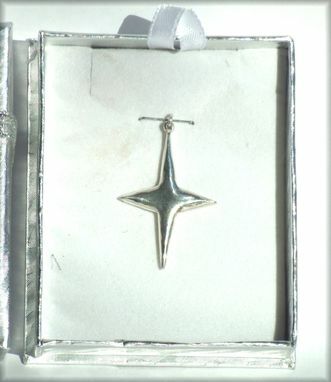 A sterling silver jump ring is mounted for connecting to a necklace. The approximate size is 1.5 x .5 inches. 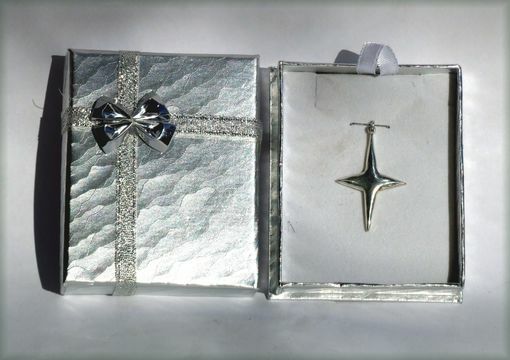 No necklace included, charm and gift box only.